Kalmar, part of Cargotec, will deliver Kalmar SmartLane automated gate system to Port of Liverpool, operated by Peel Ports Group. The new system will reduce waiting times and administration for hauliers, resulting in faster turnaround. The implementation is scheduled to be completed by early 2015. Investment in Kalmar SmartLane automated gate system is part of Peelport's £5.5m package of improvements to port infrastructure. With the £300m deep-water Liverpool2 expansion due to be open next year, this latest development is set to strengthen the port-side logistics required to support increased cargo volume. Kalmar SmarLane uses identification technologies to manage gate operations for trucks, ensuring that all containers and trucks are automatically identified before entering or exiting the terminal. The optical character recognition (OCR) cameras capture the truck registration and container IDs. The OCR technology is provided by Kalmar's partner APS Technology. At present, a manual system is currently in place in Liverpool Port, requiring drivers to register at a site office, where they complete a form and wait for clearance before entering. Once installed, Kalmar SmartLane automated gate system will provide a streamlined and fully integrated process from entry to loading or unloading. 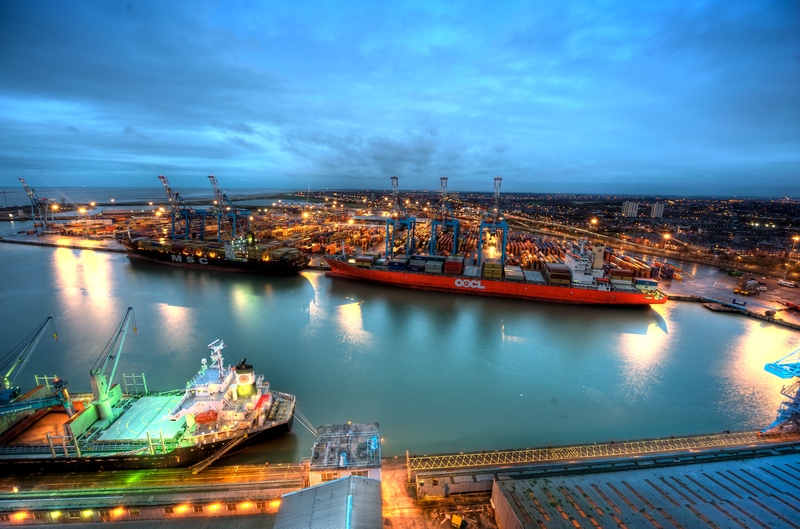 David Huck, Port Director for Peel Ports Liverpool, said: "We operate in an increasingly competitive market and our customers require logistics solutions that reduce costs, carbon emissions and congestion. The continuing success of our company has always been driven by its ability to be forward-thinking, operating at the centre of the supply chain and offering flexible, agile and cost-effective solutions to our customers. 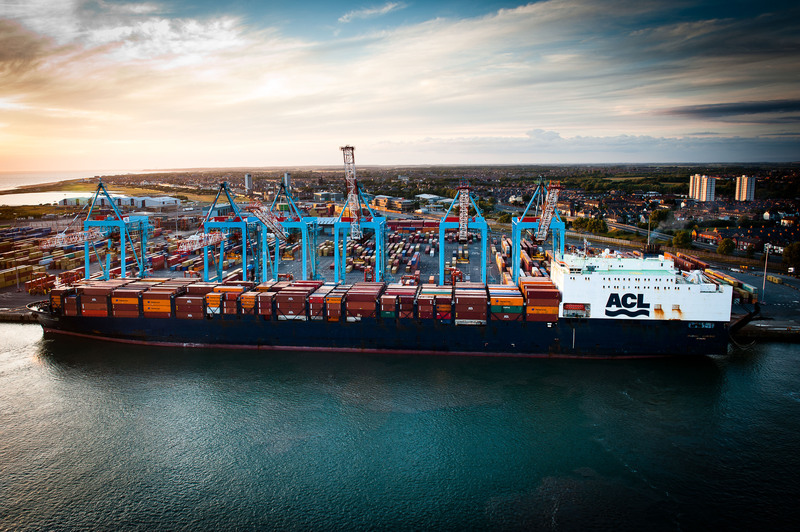 Haulier transactions will be fully integrated into our latest terminal operating systems, facilitating secure and efficient visits and minimising turnaround times at our terminals." Tommi Pettersson, Vice President, Automation at Kalmar, said: "As a global leader in port automation we are able to provide Peel Ports with a seamless and integrated solution to help increase throughput and reduce congestion. With its optical character recognition, Kalmar SmartLane solution can automatically capture information from all trucks and containers entering and leaving the terminal, cutting operating costs and improving efficiency for all users." Kalmar SmartPort solutions drive greater efficiencies through process automation, resulting in lower overall operational costs, improved safety and better equipment availability. Process automation solutions are designed to optimise the information flows within the terminal's business processes to ensure the most efficient equipment utilisation. They represent an accessible and fast way to get immediate productivity improvements for a relatively small initial investment. In addition to SmartLane, the solutions include SmartPath, SmartStack, SmartRail, SmartLift, SmartTruck, SmartQuay, SmartTrack and SmartFleet. These process automation solutions fit any size of terminal, any brand of equipment and any terminal operating system (TOS).